Keep Calm & Play Bingo | Spiffing British Bingo Sites!Keep Calm & Play Bingo - Spiffing British Bingo Sites! Take a look at our spectacular selection of the latest new bingo sites! Rationing? What rationing? The sites have bingo bonuses aplently! Who receives the official stamp of approval? Find out in our reviews section. Good, Honest British Bingo Sites! 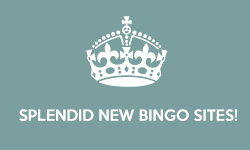 Keep Calm Bingo was designed with the old wartime slogan "Keep Calm and Carry On" in mind. 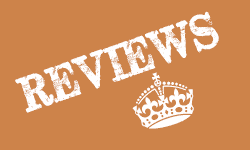 We felt that it would be fun to create a site that used this theme throughout and gave a wartime feel to the way we wrote the reviews and content of the site. Lets face it when you have a hectic day ahead, theres nothing more calming than playing a cheeky game of bingo or a spin of the slots! Bingo was a game enjoyed by many british people during World War II. In fact some of the bingo calls / numbers make reference to life during the World War. For example number 9 which is "Doctors Orders". Number 9 was a laxative tablet given out by doctors during World War II. Sadly over the years bingo calls have changed and been updated as the references to old celebrities and wartime life don't really have much context anymore. We have built our comparison site with Google in mind, investigating the various search criteria used by users in order to find bingo sites of interest. We have categorised and separated this information to make sense into separate sections that we feel are most likely to answer all the questions you may have as a new or experienced bingo player. Although it has a somewhat misleading title (there are no mints with holes, or strange posh horsey games here), Polo Bingo is our sort of site. It has a really nice traditional theatre themed design. The home page greets you with a vaudeville style high kicking “Tiller Girl” graphic, set to a bluesy guitar soundtrack. This is not an online bingo site. So what are we doing a review of it for then? Well Busy Bee is an online bingo review site. A bit like us here at Keep Calm really. But we’re happy to recommend them because they and we share a similar attitude to the job we do. This dear old chap is from ‘oop north and is a fantastic bingo caller! Get yourself £15 completely free by simply registering on the site. Where can I find bingo sites with a free sign up bonus? If you are looking for a site to make a deposit in order to claim a welcome bonus you need to look at the amount offered in a percentage. The higher the percentage the more bonus you will receive. Our Bountiful Bingo Bonuses page will give you a list of sites ordered with the highest and most recommended bonuses at the top. Please do check the sites terms and conditions as the higher bonuses may come hand-in-hand with astronomical wagering requirements. For example you may need to wager 20 times the amount received as a bonus. Free Bingo Sites: Are they really free or is it a scam? This is always a difficult question for us to answer as we don't want to put you off any websites that offer free bingo to new players. Free bingo isn't a scam but you may need to adjust your expectations. For example if you think you can sign up with the site and withdraw your free money, this simply won't happen. There will also be terms and conditions applied to any amount offered for free. For example some sites won't allow you to withdraw your winnings unless you have made a deposit at some stage. Always check the wagering requirements. You may find that you have to wager 10 - 20 times the amount offered for free + any bonuses that are given. Whilst these terms may feel unfair to you when you come to withdraw your winnings here are some things to consider: OK, so you couldn't withdraw your winnings but think of it from the sites point of view, they can't just give away money so some terms have to be put in place that cover themselves, if you work it out, you probably don't come off any worse than a site that requires you to deposit, in fact you've played the games for free and have been entertained for a good period of time! We recommend to manage your expectations and you look at this bonus as virtual money, its there for you to play with, but forget about withdrawing the winnings. If you want to withdraw, don't opt for the bigger bonuses (if you have an option) and make sure you deposit something. Take a look at our free bingo sites section for an extensive list of sites. Mobile bingo has grown over the last couple of years and has become something that all bingo operators cannot ignore. Whilst playing on your mobile can be a little bit cramped it works very well with slots and casino games. A lot of sites don't require a download as they use the latest HTML5 technology. We recommend that if you decide to play on your mobile that you make sure you have a decent signal. This will mean there is less chance of you missing out on your winnings as some of the sites struggle to cope with resuming games when you have lost signal. Cassava or Virtue Fusion which software is the best? Software plays a huge part in your experience when playing bingo. Cassava and Virtue Fusion seem to be a common sought after name by bingo players however actually these two companies and sister companies of two giants. 888 and Playtech. The software you choose to play bingo on can vary quite considerably. Even if you choose Virtue Fusion as your preferred software not all sites will have the same side games, slots, casino games as these can be "plugged in" depending on who is operating the site. We provide all the software providers used for each site so you get a good idea if the site is going to have a better selection of games. Check out our software section for more information about each software provider. Lots of sites now accept PayPal as a payment option which makes the whole depositing process much more secure. There are other payment options such as UKash, Skrill (Moneybookers). Some sites offer a bonus for depositing using these methods as they are risk-free and cost the site less to process your deposit. You can have a look through our list of bingo sites categorised by Payment Option.